A graduate of Yale University and the University of Pittsburgh School of Medicine, Dr. Haisman completed an Orthopedic Surgery residency and an Orthopedic Research fellowship at the University of Pittsburgh Medical Center. 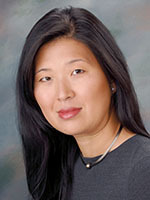 She completed a Hand and Upper Extremity fellowship at the Hospital for Special Surgery, the premier hospital for musculoskeletal medicine, located in New York, New York. Dr. Haisman is a fellow of the American Academy of Orthopaedic Surgeons, an active member of the American Society for Surgery of the Hand (ASSH), and has a certificate of added qualification (CHQ) in Hand Surgery. Learn from J. Mi Haisman how minimally invasive surgery is now helping relieve pain and restore mobility in patients with carpal tunnel syndrome.